Lawn Care Fairhope strives to be the best lawn care service in Fairhope. Our experienced crew uses the best lawn equipment to make your lawn look its best. Fairhope lawn’s need attention to detail. Our high heat, humidity and rainfall allows grass to grow thick quickly, but without proper lawn maintenance you could end up with weeds that you do not want. Lawn Care Fairhope will set up a schedule that keeps your lawn lush and healthy. Free of weeds and other lawn pests. So when you are looking for a residential lawn care service in Fairhope, look no further than Lawn Care Fairhope. The name says it all. Lawn Care Season in Fairhope could be all year ’round. Grass grows from February into November, but pesky weeds can pop up in December and January. Also leaves will continue to fall, so it is best to keep Lawn Care Fairhope working all year to keep your place looking like it should. Lawn Care Fairhope specializes in residential lawn care. We want your home to look great. We want you to tell your neighbors that your lawn looks so great because the professional lawn service crew at Lawn Care Fairhope take great pride in our work. We mow your lawn to the right height to prevent scalping and creating dead spots. We edge your concrete areas for the manicured look our customers expect. We trim around the house, the fence and trees to create the lawn you could show in a magazine. 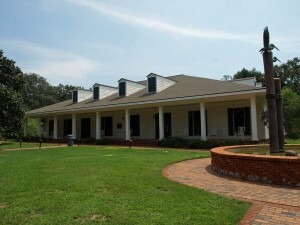 Lawn Care Fairhope provides fantastic customer service to all of our commercial lawn care clients. We know that the first impression your customers get is as they drive up to your facility. We want that impression to be “WOW!” Your business looks good from the outside so your customers know you pay attention to detail on the inside. Well kept grounds are important to your businesses success. 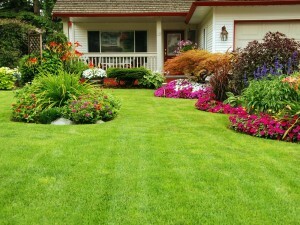 Let Lawn Care Fairhope take care of the lawn while you take care of the other stuff. We can arrive early or late to best suit your needs and not inconvenience your customers. So contact us for the best commercial lawn care in Fairhope.